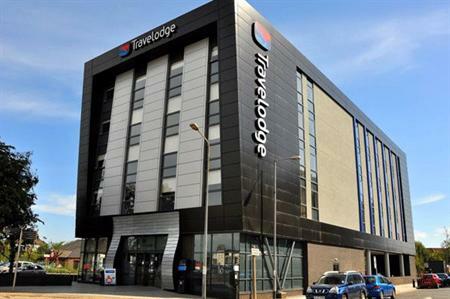 Travelodge is urging the government to investigate how the Community Infrastructure Levy (CIL) is being exploited by London councils and would end up costing the hotel group £27m should it forge ahead with hotel developments. Paul Harvey, Travelodge’s managing director, has written to Eric Pickles, secretary of state at the Department of Communities & Local Government, to express his concerns, stressing the role that the budget hotel group plays in creating jobs across the capital. CIL was introduced by the previous government with the aim of ensuring developments contribute to infrastructure costs. However, Harvey said that the majority of London boroughs are using it to generate additional revenues. Travelodge, which currently has 60 hotels in the UK capital, is looking to develop a further 95 hotels, creating 2,600 jobs, across 19 boroughs that have implemented or are looking to implement a CIL charge. Should the developments go ahead, the 19 boroughs would collectively foot Travelodge with a £27m tax bill. Harvey said: "This additional development charge is being interpreted by some London boroughs as a quick win revenue generator, when in reality by setting such high rates, they are actually losing out on long term growth, revenue and job opportunities. It is unviable for companies such as ours to invest in new developments as a direct result of this extortionate charge." As an example, under the previous charging regime, the borough of Islington, where Travelodge is looking to develop seven new properties, would have seen Travelodge billed £1.7m. Under the CIL scheme, the charge will be £5.9m. Harvey added: "Eric Pickles must recognise the damage that the poorly thought through CIL levels will have on future economic growth, and he needs to stop councils implementing such harmful rates of tax."